We offer a hosted cloud based PBX VOIP phone system that can replace expensive phone systems, installation, handsets, land lines and numbers with a simple, cost-efficient alternative. US Digital Phone provides a powerful phone system, hosted in the cloud, which is available to use on a monthly subscription basis. Each user can use an advanced digital phone set, which just needs to be plugged into their broadband or office network to allow them to access features such as voicemail, IVR and more, all from their phone or web based control panel. 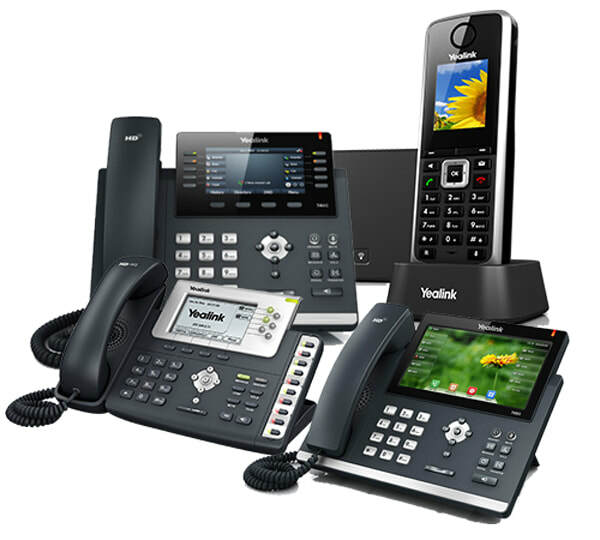 VoIP is a means of carrying phone calls and services across digital Internet networks. In terms of basic usage and functionality, VoIP is similar to traditional telephone service, and a VoIP-enabled telephone works exactly like a ‘normal’ one. However, VoIP has a number of other advantages, such as cost, ease of use and advanced features not found on traditional on-premise phone systems. When you adopt VoIP technology, you have typically been driven by the lower costs of IP telephony over traditional methods – a powerful incentive for most businesses. However, hosted VoIP from US Digital Phone not only brings you lower costs, but also gives you a complete array of other benefits. It is the perfect complement to our hosted desktop service, giving you comprehensive access to an affordable, mobile, scalable, state-of-the-art business infrastructure on demand. Now you can cut your current phone bill in half and have the high-quality service and features previously only available to large Fortune 500 companies. Get the complete business phone system that delivers outrageously affordable, incredibly advanced business phone service right over your Internet connection. How, you might ask? With US Digital Phone’s voice over IP (VoIP) phone service – available wherever there’s an Internet connection. US Digital Phone delivers IP-based Fortune-500 PBX features with Aastra or Yealink phones as your only hardware investment. Most VoIP companies are somewhat similar in their service offerings and price, However most REFUSE to manage “last mile” connectivity. Meaning they leave it to you to make it work on your network. We are different. We help you integrate our solution with your existing network and have special firewall/routing equipment available for an additional cost if needed. We offer a competitively priced alternative to premise-based PBX solutions. There is never a long-term contract commitment. We earn your business every month! Our service allows you to fully outsource the cost and complexity of maintaining your own PBX—we maintain and upgrade the equipment, reducing your IT costs. We easily support single or multi-site implementations including home based remote workers. Our web based interface allows self-management of day-to-day features through an intuitive user interface. You can easily scale our service with pay-as-you-grow pricing—never pay for more than you need and most important, our service works with most every internet service provider worldwide. Let us provide more for less and show you how to make your communications work for you! Enterprise Hosted PBX Pricing Includes Large Business, Corporate, Educational and Government. 50 + Extensions or Call Paths – Call or Request a Quote. Enter a telephone number in the box and click the "Check" button to see if it can be ported to our network. ​I already have Hosted PBX, but would like to switch to US Digital Phone. Can I use the phones I already have? Possibly, we support many brands of VoIP Telephones. When you contact us for a quote, just note the make and model of the phone sets you have. Can I use my old On-Premise PBX phones with hosted PBX? No, you would need to upgrade your phones to VoIP phones. We suggest Yealink equipment. Do I need extra network cabling to use switch to Hosted PBX Service? Possibly, You will need a data jack at each location you will have a VoIP Telephone. Some models of VoIP phones have a switched jack on the rear of the phone so you could plug the phone into a data jack, then plug your computer into the phone. I have a firewall, will there be any problems getting reliable VoIP signals through my firewall? Some firewalls don’t play nice with VoIP traffic, but many have evolved to work well with VoIP. We can help you determine if you will need simple modifications made to the the programming of your firewall or if you need to replace it with a VoIP friendly Firewall Solution. I have several staff members that work from home, will it be a problem for them to have a VoIP phone on our hosted PBX? No problem, as long as they have high speed internet they are VoIP ready. What do we do about faxing? 1. We offer free electronic faxing inside the VoIP control panel that will handle incoming and outgoing faxes without using a fax machine. 2. We also can connect an ATA (Analog Telephone Adapter) and plug your fax machine into the ATA. I have an alarm that has to be plugged into a phone line, is this a problem? No problem, again we would install an ATA (Analog Telephone Adapter) to plug your alarm into for service. I only have one main number, but I have many roll over numbers now. When I switch to Hosted PBX do I need to port all of those roll over numbers? No, Just the main number. With Digital Phone Service we are able to provide as many call paths/lines/trunks to you as you have paid for with only one local number. However you are welcome to purchase additional phone numbers if you wish, which are $2.00 per month. If my internet goes down, do my phones stop working? Yes, however you can call support and we can do an emergency forward to a cell phone or any other number you wish. I have multiple locations, will this system really work like we are all in the same building? Yes, with Hosted PBX Service it doesn’t matter where the phone is. It works the same if its in the same office or thousands of miles away. Can I really get as many local numbers as I want in other cities like New York, Los Angeles, St. Louis, and Memphis? Yes, regardless of where you are we can provide you with local numbers in over 10,000 rate centers across the USA at $2.00 per number per month. Are there any extra charges for any of the features listed on the “Features” page? Nope, you get them all! Do you really have a cancel anytime policy? Yes, we believe we should earn your business every month. Create multiple versions of announcements and easily control which ones are in use. An example would be to have a pre-recorded “Due to the weather we are currently closed, but staff is checking voicemail today”, then dial in and tell the system to switch to that message when needed. Unlimited Auto-Attendants can be chained together or used for different departments. Calls can be given the option of dialing extensions. Do you have set groups of customers/members with whom you regularly communicate? Use the call campaign manager to place automated calls to lists of numbers. Phones with programmable buttons can show the status of extensions and queues. If your Internet is down, or an IP phone is not connected for any reason, calls can be redirected to other extensions, to voicemail or out to mobile phones. We can define group call pickup buttons so users can grab a ringing call even if they do not know the specific extension. When you park a call it is “on hold” on a shared parking slot that can be picked up by user. “Carl, you have a call parked on 710”. Not just for call centers, call queueing allows the system to make intelligent decisions to get the call answered by a person as quickly as possible. Too many calls already waiting for sales? Send the new calls to the receptionist. We can do all-call recording on specific numbers, all-call recording for outbound calls by extension, or on-demand recording (Press a button to start recording the call). Each telephone number can route to different destinations. 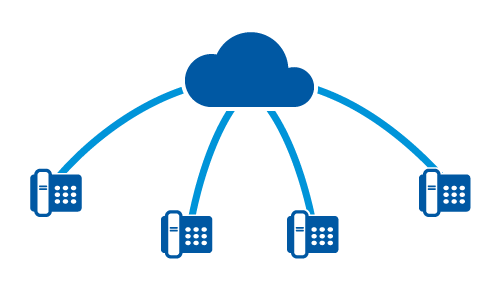 Used to limit what each phone can call – limit outbound calling, international calling etc by Extension by assigning different routing profiles. Unlimited meet-me conference rooms. 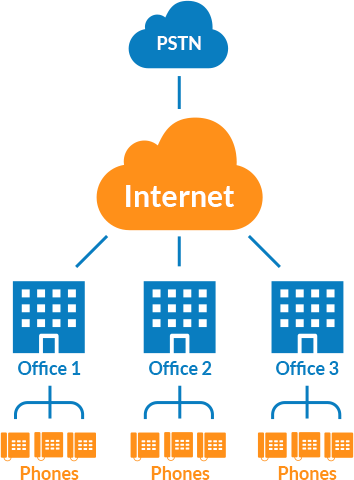 Assign different conference rooms to each department to avoid multiple calls being scheduled at the same time. Direct Inward Dial (DID) numbers. Calls can be routed by the number dialed. Direct Inward Station Access – call in and dial a passcode and you can dial back out as though you were on an extension. E911 integration, down to the extension level. Do you have multiple locations on one PBX, or just a few people who work from home? Assign a different emergency callerid to each physical location so emergency services receive the correct address, even if everyone normally has the same outbound callerid for non-emergency calls. Ring your phone, then continue to ring at your desk while simultaneously ringing your mobile. Optionally “confirm” the calls to your mobile. You answer and hear “You have a work call – press one to accept this call”. Callers can be given the option of dialing extensions directly to exit a queue. “If you know your parties extension please dial it now, or hold for the next available associate”. Optionally turn on international calling and pay very low international rates. We can set limits on total monthly usage. Do you have customers in other countries or US territories? We can provide low cost INBOUND international numbers in over sixty other countries. These are usually flat rate – $15 to $20 per month for unlimited inbound, two call channels. So your overseas customers can reach you without either you or them paying “international” calling rates. No limitations on “location” of the number. You are not limited to numbers “where you are”, but can add local telephone numbers anywhere in the 10,000+ rate centers where we provide service. Add a number in Houston, another in New York…or Toronto, with no long distance charges or expensive “remote call forward” lines. Create an unlimited number of messages for use with hold music or as announcements. Multi-Lingual messages – recordings can be done in multiple languages and the caller offered ability to choose language. Add multiple music on hold files or use streaming MOH sources. Page through the speakers on the IP phones or connect to existing paging gateways/overhead speakers (may require a SIP-Paging gateway adapter). Route calls not only by the number dialed, but by the callers numbers. Use this to route calls directly to account reps for specific customers, or give priority routing to key customers. Our toll free numbers are delivered directly to your PBX as a DID number, not pointed to a local number. This allows us to provide you the lowest possible cost per minute, and allows the numbers to be routed anywhere in the PBX.